In February 2016 we welcomed three new members of Bali Wildlife Rescue Center. 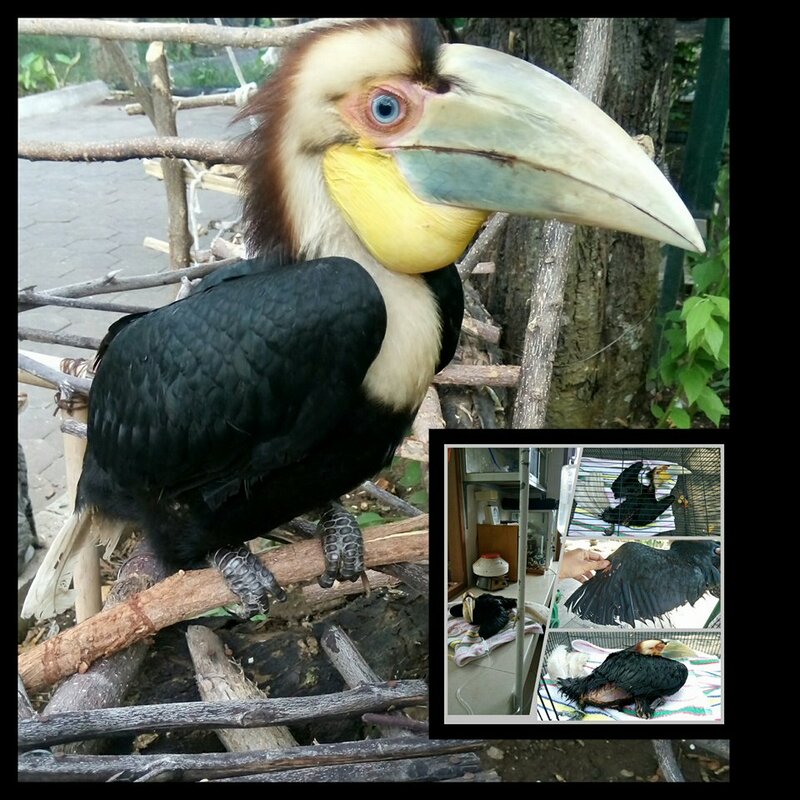 The first is one Wreathed Hornbill (aceros undulatus) which arrived at our center in January 15th 2016. Our staffs and volunteers call it Zazu. Zazu arrived with critical condition. Its body is extremely weak and skinny. Its legs are paralyzed and its wings were cut by the previous owner. I øjeblikket, Zazu can only jump but as this article was written it finally past the critical condition and able to gain considerable amount of weight. Dr. Rini believes that with enough care and training, Zazu might be able to fly again. The Second new member is the cute little baby sun bear (Helarctos malayanus). Our staff name it Jalou and he is the favorite among the volunteers. Jalou is around 4 months old and separated from his mother since birth. 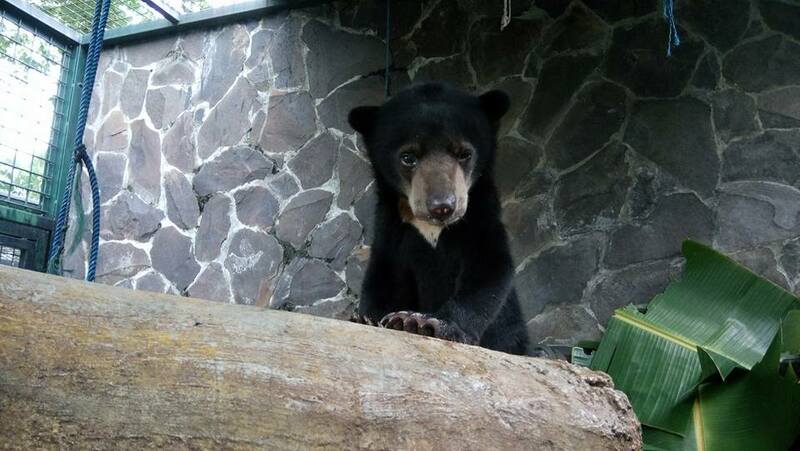 His former owner claimed he is not aware that malayan sun bear is protected by Indonesian law. Our good friend, Mr. Hardi from Center of Orang Utan Protection brought this baby bear to us. He arrived in good condition with good claw, good teeth and near perfect health. The third new member is a young White-belied Sea Eagle (Haliaeetus leucogaster). Our friend found it and decided to gave it to us. Judging from the feathers, the bird is still quite young. It arrive in a good condition although there are some deformity on it left foot. 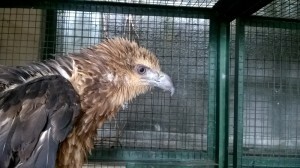 Dr Rini believes that with good training, the bird will be to be released soon. Bali Wildlife Rescue Center is located at Tabanan Regency, West Bali. It is fully operated by FNPF and it is one of only seven such centers in whole of Indonesia. In this center, vi omsorg for, rehabilitate and release native endangered wildlife, most of which are the victims of illegal trading and poaching. De primater og fugle, vi ser efter i centrum i Tabanan, southwest Bali – including gibbons, makakaber, ørne, kakaduer, and peacocks – have mostly been confiscated by officials from markets, private homes or businesses where they have been kept as pets or for entertainment. Nogle er også givet til os af det offentlige. With the help from our amazing volunteers and the continuous support from Humane Society International of Australia, we are able to run this center with a high standard of quality. Interested on helping at BWRC? Click Here.